This is the island's most inclusive resort, with a restaurant for every occasion, a massive spa, the best kids' club, an acclaimed golf course, lobby shops—and so on. 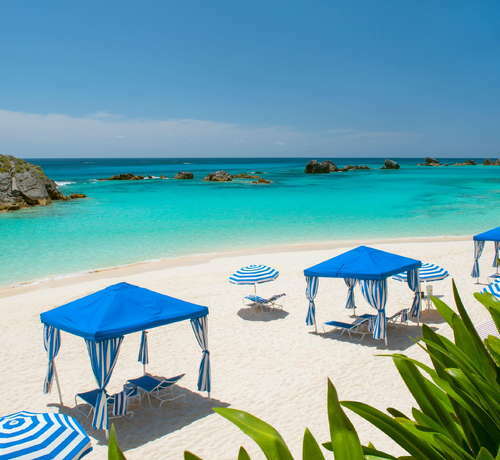 If the lodgings, based in an older ¼-mile-long hotel, sat on a fine beach, and were a little less of a clunky high-rise, the Fairmont Southampton, Bermuda would be difficult to beat. The property does have a private beach, however you'll need to take a quick shuttle or walk five minutes down the hill in order to reach it. Ample and tastefully decorated rooms boast walk-in closets and private balconies; guests can request a refrigerator for no extra charge. Excellent housekeeping services ensure that your room is always fresh and inviting. YOU SHOULD KNOW Double check your room's location before booking—views vary—and avoid ones on the first three floors of the west and north wings, as they overlook a rooftop. Spacious, with a double granite vanity and complimentary bath products from Rose 31. Elegant and expansive, the lobby is a sight to behold. Decorated with Bermuda artwork, enormous bouquets of flowers, and sculptures by the famous Desmond Fountain, you'll want to walk around just to take it all in. There are also lots of quiet nooks for reading and conversation, plus a full bar in the adjoining Jasmine Lounge. This property features two swimming pools: one outside, for all to use, and one indoors, exclusive to spa guests during business hours. Order food and drinks from The Burger Bar at Wickets and enjoy the attentive poolside service. Kids will love the splash pool and mini water slide. Rent a shady Orbit Lounger for added poolside privacy. The luxurious Willow Stream Spa is an adults-only sanctuary for relaxation and renewal. Spanning over 31,000-square-feet, it has 15 treatment rooms, three relaxation lounges, an indoor heated pool and Jacuzzis, a steam room, and so much more. The beach-view fitness center has everything you need including fresh towels, ice water, and even complimentary earphones to use while you get your sweat on. The facility is manned by the nicest team of in-house personal trainers who are available for private sessions to help you stay on track during your vacation. Few hotels offer as impressive an array of dining options. Whether you get burgers and shakes from Wickets poolside bistro or opt for homemade pasta and wine at Bacci overlooking the golf course, the cuisine is so good, you'll never have to leave the property. 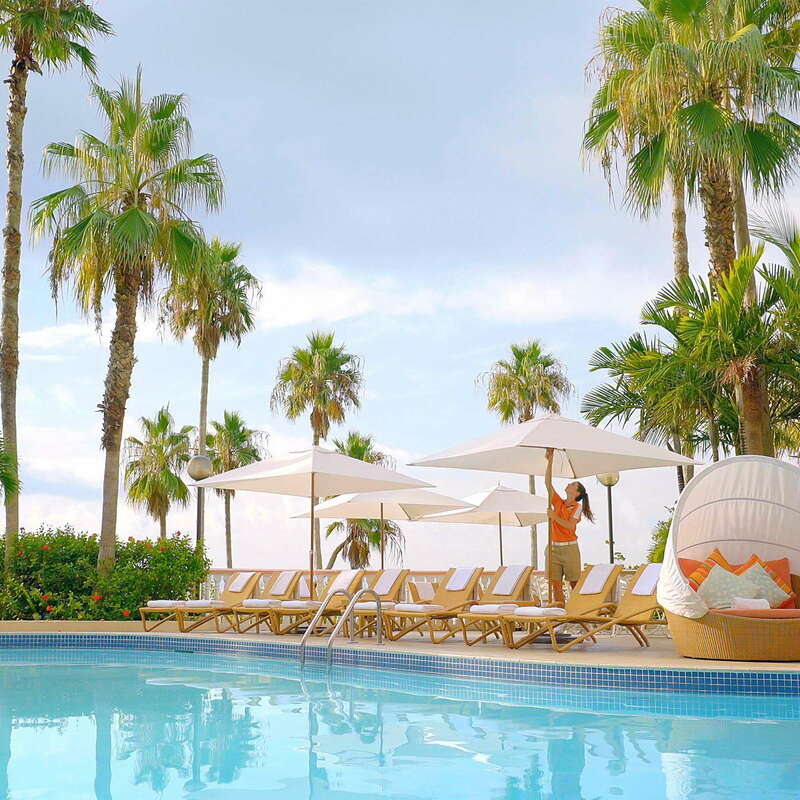 The classically decorated Jasmine Lounge, just off the lobby, is the place for an afternoon pick-me-up; there's also a cabana beach bar and poolside beverage service if you're craving something fruity and refreshing. For a truly special evening, take the shuttle down the hill to The Dock at Waterlot Inn and sip cocktails under the stars. Inquire with the front desk about upcoming live music in the Jasmine Lounge. Rent a one- or two- person scooter from Smatt's Cycle Livery, located right on the premises. Or, catch a ferry from either the Rockaway or Belmont wharfs, both about a 10-minute drive away. Buses run frequently along South Shore Road; the closest bus stop is located at the bottom of the hill. Located opposite the entrance to Horseshoe Bay Beach, Gulfstream (4-minute drive) is known for its fresh seafood and outstanding thin-crust pizza. Cambridge Beaches Resort & Spa is home to the must-see alfresco restaurant Breezes (20-minute drive). Situated right on Long Bay Beach, it is an incredible place to dine at sunset. Tourist trap or not, The Swizzle Inn Pub & Restaurant (8-minute drive) is the place to go for pitchers of the island's national drink, the Rum Swizzle. If you'd rather be gabbing instead of guzzling, taxi over to Sea Breeze (12-minute drive) at Elbow Beach. The place comes alive during Friday night happy hours when you can sip cocktails and sample tapas on the chic open-air terrace. 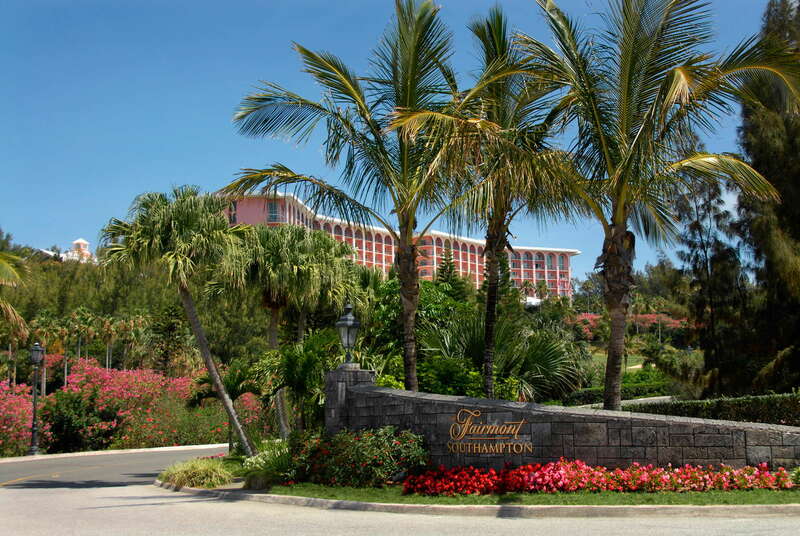 If you want the whole package--views, dining, shopping, golf, water sports--this resort has it all. Families will appreciate the kid-friendly amenities and activities, while couples will find plenty of privacy and beachside romance. Even the cheapest rooms are generously sized and well-appointed; upgrade to the Fairmont Gold package if you really want to go all out.